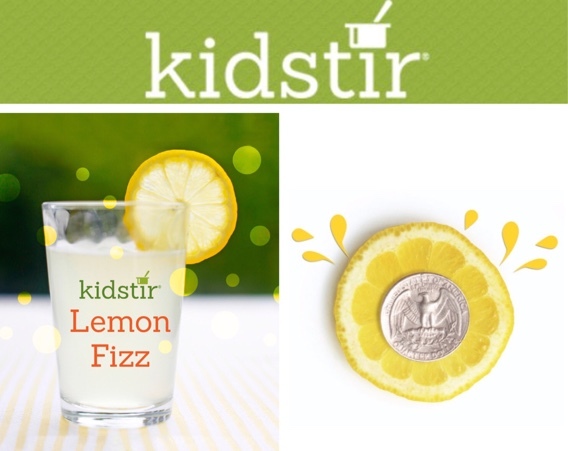 On a hot day, set up a lemonade stand—and serve up this twist on the classic lemonade recipe. Squeeze fresh lemons, add simple syrup, pour in seltzer water, and you have a homemade lemon soda. 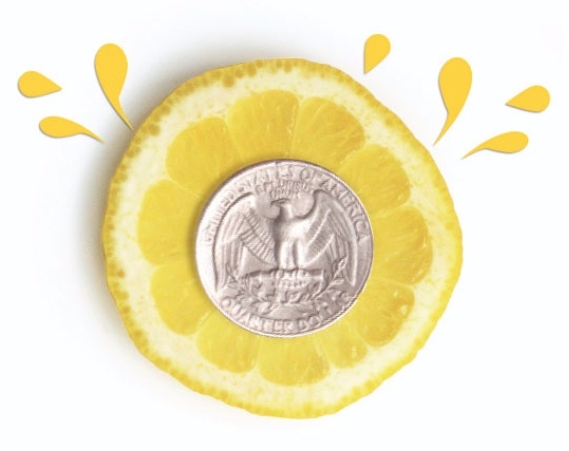 This fun recipe teaches kids how to use these kitchen tools: citrus juicer, measuring cup, strainer, pitcher, small saucepan and a large spoon. They’ll learn about measuring, stirring and juicing a lemon. When they taste the result and share it with their siblings and friends, the next step is lemonade retail on a kid-sized scale. The neighbors will be lining up for seconds! Setting up a lemonade stand? Keep track of your expenses and earnings with this sweet lemonade tally sheet. It’s a fun way for children to practice math skills when school’s out! Tracking lemonade profit and loss will also add business skills to their summertime and give them financial incentive to learn more. Dip Dip Hooray! We are giving away an awesome Vegy Vida gift basket. Vegy Vida is a pure-ingredient dip and topper that is made just for kids. 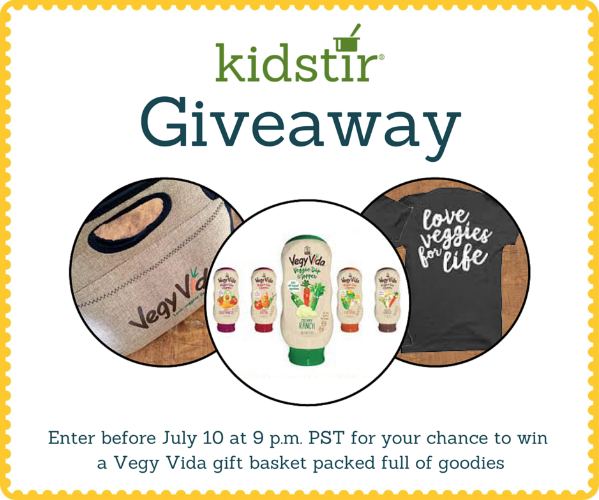 A lucky winner will receive a $60 gift basket: 5 flavors of Vegy Vida, a canvas carrier case, 5 packs of veggie seeds, and a “Love Veggies for Life” t-shirt. To enter to win, head over to our Kidstir Facebook page and tell us your child’s favorite veggie. Want another fun way to get vegetables in your kids’ diets? 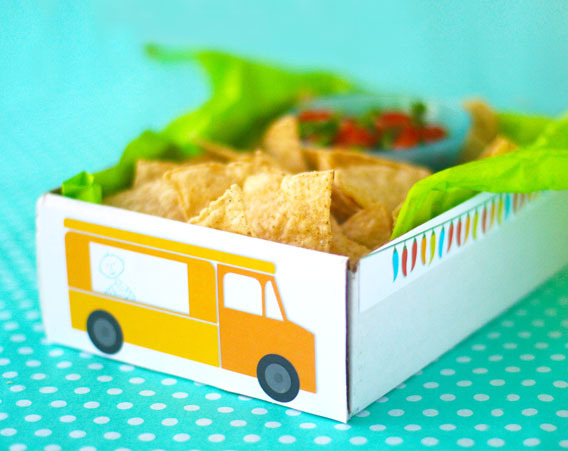 Try homemade tacos with our popular Taco Truck Fun kit! In this kit, you’ll find out how to create three yummy Mexican recipes. You’ll also grow some knowledge with fun facts about peppers and avocados, learn just a bit of spanish, and practice menu math. Begin with Guac & Roll avocado dip. Bake some fresh tortilla chips, flip them with the included Handy Tongs, then serve with fresh guacamole. Use our cool Wavy Cutter from the kit to chop toppings for Food Truck Tacos for kids. For dessert, cook Arroz con Leche, a rice pudding. Serve it all up in a Food-Truck-in-a-Box tray! Previous post: Happy 4th of July Kids!